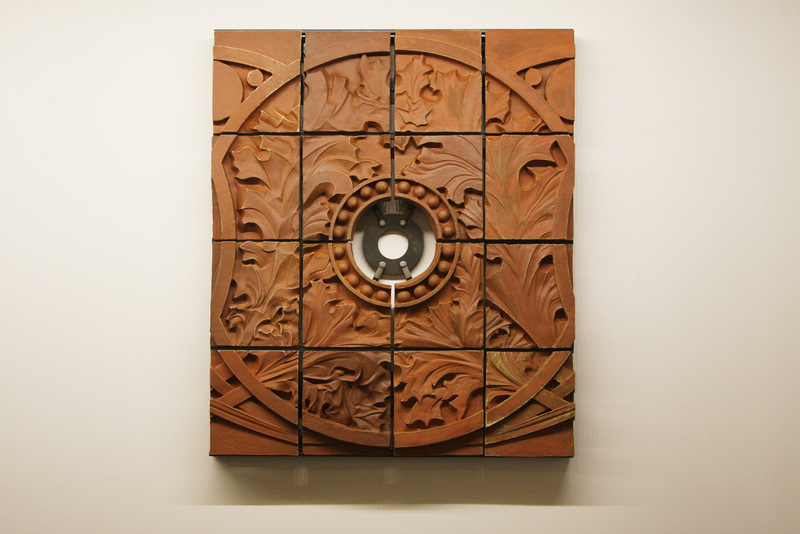 Students at the University of Kansas School of Architecture, Design & Planning are recreating the ornate terra-cotta of the Louis Sullivan-designed Wainwright building in St. Louis. But instead of the large sheets of parchment and hand-crafted originals, the students are using 3-D modeling software, photographs, and 3-d printing and routing. As part of Assistant Professor Keith Van de Riet’s “Craft in the Digital Age” class, 16 students recreated full-scale replicas of details from the historic early skyscraper. Appropriately based on the teaching methods of the 18th century École des Beaux-Arts, students are learning through copying masters. An extra step is added, though, in that the class is attempting to reproduce work once done completely by hand with digital methods. 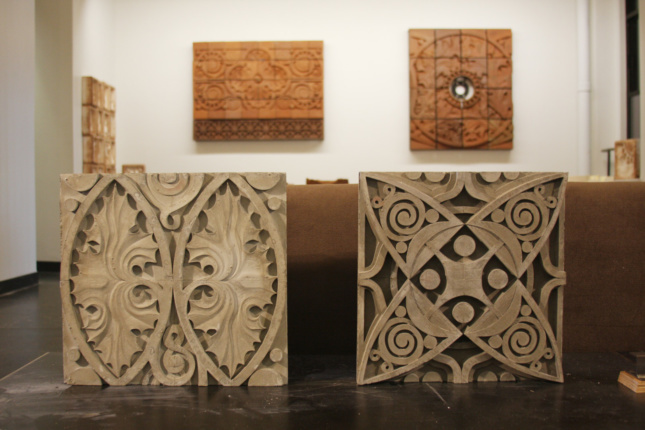 Yet, even with some of the latest technology at their disposal, portions of the process of producing architectural terra-cotta has remained the same over the centuries. 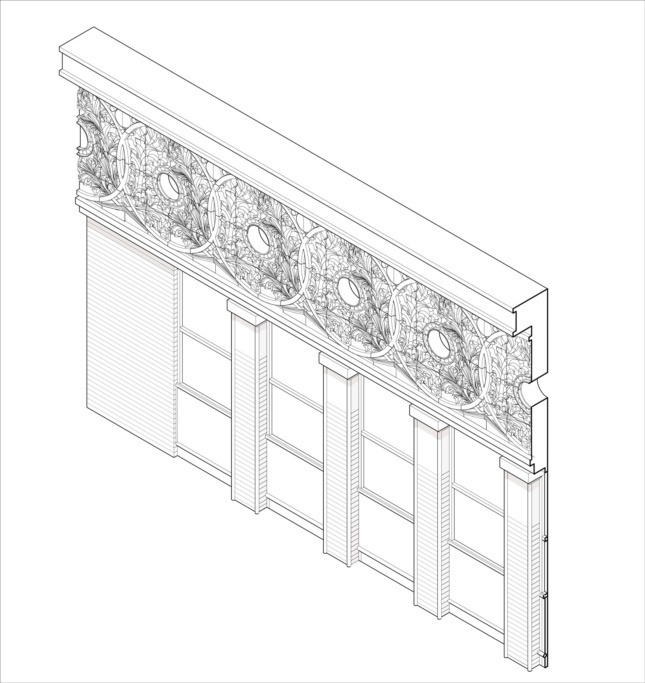 While the positive models of the details are produced using a 3-D printer or foam cut on a CNC router, the new technology stops there. Those original positives were then used to produce plaster or silicone molds, which were then filled by hand with clay. Once dry, the clay was then fired at KU’s Department of Visual Arts, a challenge in itself. The fall class produced four large terra-cotta details. They also produced steel frameworks to hang the heavy pieces for display, which can now be seen in the common area of the architecture school. The hope is that the techniques learned in the class could further preservation efforts. Currently, Van de Riet is applying for grants to further the project. Eventually, the plan is to make digital 3-D models available to be downloaded and printed for educational or restoration purposes.